Thank you for visiting this page. This study trip has passed. reThink Cybersecurity Israel is CIO Academy Asia’s inaugural experiential learning trip for Asia CISOs, CIOs, Heads of Info-Security and IT executives. There is no better way to learn than meeting up with the key executives on the ground and learning from top organisations through site visits. This trip will open doors to many key sites, government, corporations, incubators, universities and other exclusive facilities which may otherwise be difficult to visit without the right connections. Most of the newest companies have one thing in common: they were founded by veterans of the Israel Defense Force’s (IDF) elite cyber intelligence Unit 8200. Delegates will be able to network with others on this trip and connect with leading experts from the Nation that has emerged as a cybersecurity powerhouse. INCB is the national agency that advises and recommends national policy in the cyber field and promotes its implementation, in accordance with the law and government resolutions. It is responsible for promoting three central areas in the digital space; advancing defense; and building national strength in the cyber field, making Israel a leader in the cyber space as well as advancing processes that support the national cyber goals. This visit will provide an overview to Israel’s cyber industry. 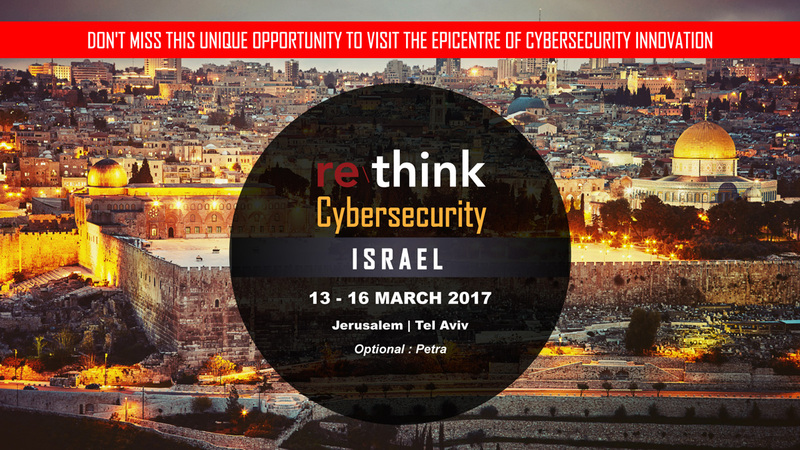 This meeting will showcase some of the most prominent companies in Israel’s cybersecurity industry. These include Checkmarx, Cyber Security Group, Verint, Cyberbit, Mer Group and Supercom. Claro is a farm to table concept restaurant, housed in an old preserved 19th century building. This visit to Check Point will begin with a presentation of the future of cybersecurity, followed by the ethics of hacking – a white hats vs black hats discussion and the nature of cyber intelligence. The meeting will conclude with a lively Q&A with Amnon Bar-Lev. The meeting will present cybersecurity trends and landscape for 2017, the approach to data security, the use of machine learning to uncover potential data breaches as well as comprehensive protection from DDoS attacks. This presentation will provide an overview of Trustwave and Spiderlabs cyber and research capabilities. It will also cover some of the main threats observed and monitored during 2016. In particular, the presentation will show how cybercriminals communicate in the underground. A few demos will be shown for the current threats. Lastly, the presentation will describe the threat intelligence that the Trustwave Spiderlabs team maintains. Popina, designed with clean lines with retro-style, stained-glass windows, stone walls and a green garden, was established by chef and restaurateur Orel Kimchi, with great desire to create original entertainment experience. Old Jaffa is the southern and oldest part of Tel Aviv-Yafo, an ancient port city. Jaffa is famous for its association with the biblical stories of Jonah, Solomon and Saint Peter as well as the mythological story of Andromeda and Perseus. Among the main attractions of Old Jaffa are its restored Ottoman-era lanes, lined with galleries, Judaica shops and Ottoman clock tower. 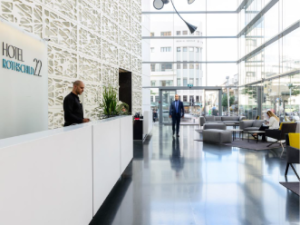 Blavatnik Interdisciplinary Cyber Research Centre was established in 2014 to provide solutions to the growing threat in the cyber sphere on a national and international level and in collaboration with Israel’s National Cyber Bureau. As the largest investor in cyber security in Israel today, JVP has built up several cyber-security companies, including CyberArk, Navajo (acquired by SalesForce), Magnifire (acquired by F5 Networks), ThetaRay and NativeFlow. The JVP Cyber Labs incubator, based in the southern academia and high-tech metropolitan of Be’er Sheva, is a proprietary incubator under license of the Office of the Israeli Chief Scientist. Based in the epicenter of this innovation, JVP Cyber Labs brings together the academia, multinationals and military-trained human capital to be at the forefront of cyber innovation. The Dell EMC Israel Center of Excellence (CoE) is renowned for driving innovation in a dynamic, challenging and forward-thinking environment. Our Center of Excellence spearheads Dell EMC’s transformation revolution, enabling businesses and service providers to deliver information technology as a service (ITaaS). The Center is a growth engine and innovation leader in research and development, product management and professional services. This EBC visit will start with a presentation of the Be’er Sheva site and a showcase of its cyber projects and solutions. Nestled in the Kana`im Valley in the Judean desert, between the city of Arad and the ancient citadel of Masada, there is a green oasis: Kfar Hanokdim. Merely walking into Kfar Hanokdim reveals a picturesque scene. Bedouin tents comfortably fitted with colorful rugs and mattresses. Bedouin hosts welcome all guests and invite them to relax and sit on soft colorful sofas next to low tables, as dinner is served. The RSA Anti-Fraud Command Center (AFCC) is a 24×7 operation tasked with proactively detecting and mitigating online fraud attacks such as phishing, Trojans and rogue mobile apps. Staffed with over 140 analysts located in two centres – Israel and the US – the AFCC analyses millions of potential threats each day, taking immediate action against attacks that put end-user online security at risk. Yam7 is located on the beach of Herzliya, the Dan Acadia promenade and offers an elegant atmosphere of freedom and a breathtaking view of the sea. The restaurant is based on Mediterranean cuisine, with a wink Far Eastern cuisine and offers a perfect combination of quality entertainment culinary experience. From the time King David made Jerusalem the capital of the Israelite nation in 1003 BCE, this holy city has become a focal point for the world’s three major monotheistic religions. The Old City of Jerusalem is one of the most intense places on Earth. This walking tour will bring you to all the major attractions of biblical Jerusalem, such as the Western Wall, Via Dolorosa, Church of Holy Sepulchre, Mount of Olives and also allow you to experience the new Jerusalem and its famous Machne Yehuda shuk (market).